The official opening of the new playground at the Children’s Workshop School/East Village Community School/P.S. 94 The Spectrum School took place this morning. 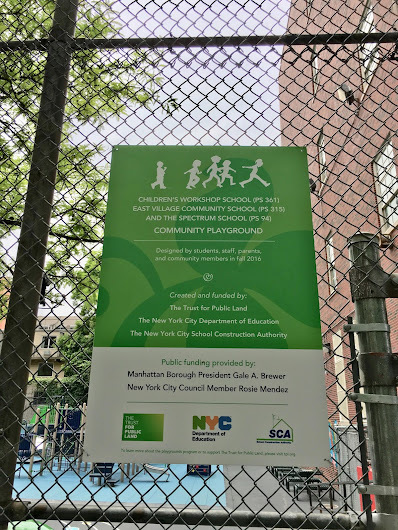 The new playground will bring 41,000 residents within a 10-minute walk of a park that includes a turf field, game tables, play equipment, running track, a stage, trees, and other green infrastructure elements. This park is open to the entire community after school hours and on the weekends, and includes features that can be enjoyed by all ages, from children to seniors. 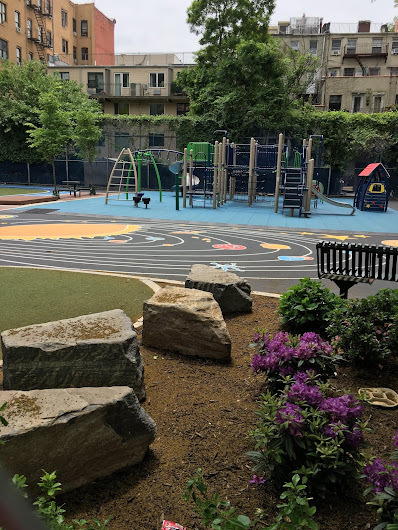 This playground was made possible through funding provided from the Manhattan Borough President’s office, former New York City Councilwoman Rosie Mendez, and supporters of The Trust for Public Land. 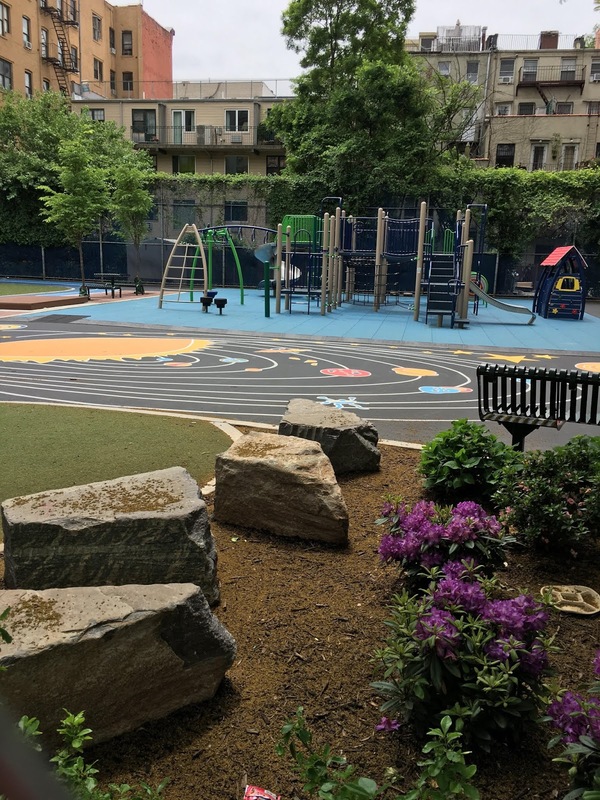 The opening of this playground is part of the Trust for Public Land’s Playgrounds Program, which serves to create vibrant, educational and fun playgrounds for New York City’s schoolchildren. 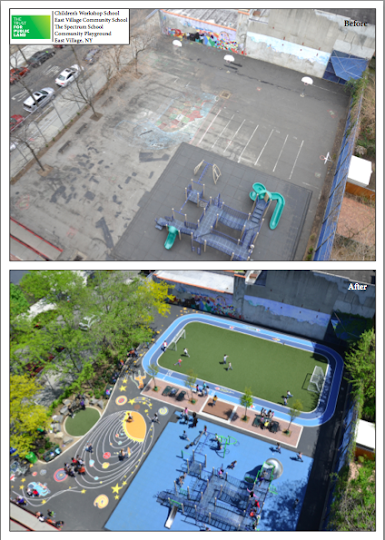 All Trust for Public Land playgrounds include student participation in the design process, providing them with hands-on learning of the science, technology, engineering, architecture, and math that goes into physical aspects of designing playgrounds, and also the survey, consensus-building, and budgetary steps that go into the social aspects of deciding what will be included in their school’s playground. 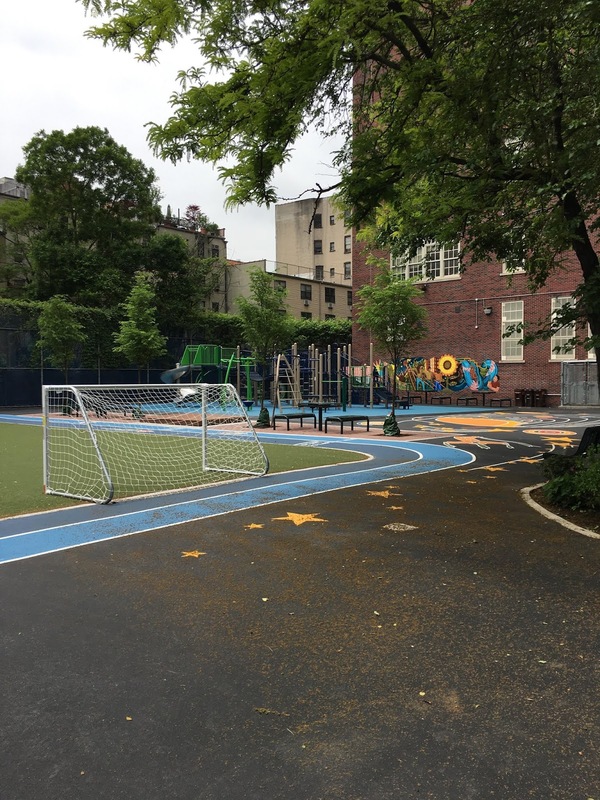 Meanwhile, the official opening for the playground at P.S. 19 on First Avenue between 11th Street and 12th Street is planned for June 18 at 11 a.m. This is great! Beautiful to see it happen. Hope the kids love it. I hope all 41,000 people are not going to try to use the place at the same time. And I hope people will RESPECT these improvements. 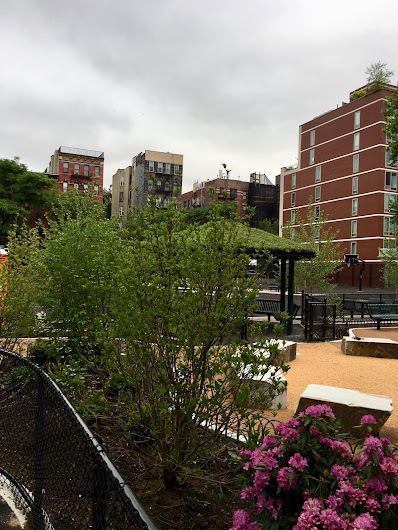 It's clear that not only a lot of $$ but also a lot of thought & consideration went into planning these playground-parks - they are gorgeous and better than anything I would ever have expected to see in our area. I really hope people won't trash them; that would be a real shame. They did such a great job. I've watched it all every morning on my way to work. Hats off to everyone involved. My sentiments exactly. Hopefully closing the gates at sundown will help eliminate some of the disrepsectuful conduct that will surely come. Also, I live right around the corner from PS19 and will likely spend a lot of time here with my two kids - the 4y/o can't wait for the soccer field (me too)! I plan on helping to keep things tidy (pick up trash) and will not hesitate to run off any disrespecting youths. So long as the youths are not bigger than me.